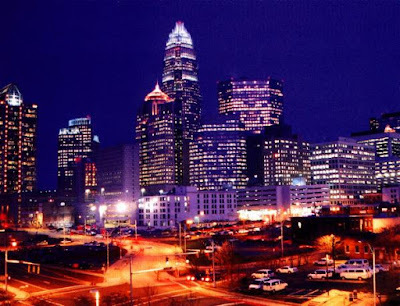 Obama's final option "celebs" are beginning to invade Charlotte. Word from the Charlotte Observer is that actress Ashley Judd will host a "Women For Obama Summit" in Charlotte today. The event, which will be from 3 to 4 p.m. at Central Piedmont Community College, is free and open to the public. 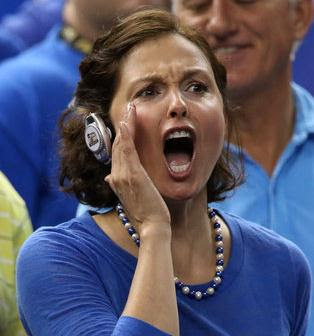 Ashley Judd making "Cat" calls. Judd, who is the third rail of the seriously dysfunctional Naomi, and Wynonna family, will address her concerns about family matters and women's reproductive health. Judd will also return in September as a member of the Tennessee delegation to the Democratic National Convention. Cedar's Take: Judds are the poster girls for self centered egos. When Wynonna wed longtime boyfriend Cactus Moser last month, two guests who didn't show were mom Naomi and sister Ashley. Keep in mind that both mom and sister have homes on the same Tennessee farm where the wedding took place. Wynonna explained about the absence: "Ashley's probably so busy with [husband] Dario [Franchitti] having won the Indianapolis 500, she probably doesn't even know"
"We're getting ready to sit down with our life coach and re-evaluate what we want out of (our) relationship . . . We (Naomi, Wynonna and Ashley) just don't have a lot of contact right now, if any, because we're all doing our own thing." "I'm getting ready to have a meeting with Ashley, and re-do our family contract, and re-set our boundaries," Wynonna added "It's just really healthy." Seriously, do we really want the direction of our country decided by women who have life coaches to help navigate the complexities of mother/daughter/stepsister relationships? Judd on Obama: "I think that he is a powerful leader, I think that he is a brilliant man I think that he has an incredible devotion to our Constitution, and that he is now able to flower more as the president I knew he could be." Judd on Obama's support of gay marriage: "I was extremely proud of his statement about gay marriage, for example, because he didn’t need to do that. He was just displaying his values and his belief in equality. And that moved me to tears." Judd on Mitt Romney: "To be perfectly honest, I haven't paid that much attention to him because I'm so into my guy,"
Cedar Update: Ashley Judd at CPCC's Pease Auditorium. Where at least 100 women stopped by to listen to the actress and activist. Pinning your nastiness on one supporter? You really can no longer be taken seriously. Go ahead, elect your funny underwear wearing, Book of Mormon believing robot, I am sure he will be a great President....for the 1%. make that a wet sundress. She is a joke, that is true but I don't agree with the storm trooper comparison calling anyone a Nazi is just wrong. Obama has been slipping in slaps to the faces of the middle class behind the scenes. Look at Obamacare. Those are huge taxes imposed on those without insurance, and what do they get for it? Also, if you think you will not be effected because you have employer paid group coverage, think again. you will be getting a 40% tax because your employer pays your insurance. In addition, the health care service and access to it will go down, while the cost goes up due to the forced changes in coverage. There are a few benefits for the 21 - to 25 year olds and some other things, but it will hurt a lot more than it helps. Go to FactCheck.org and Snopes to see how WRONG and grossly misleading your statements are. Just stick to the truth, lying doesn't help anyone. Ask Romney about Romneycare in Mass., virtually the same. Facts, not your weak interpretaion and outright lies. This is all Rodney Monroes fault!! When the FBI/SBI/DEA/HSI/ATF/CIA/DOJ/EPA/MOUSE investigatin is done people will see what goes on!! There will be a trial and everyone will see I was right and not just a disgruntled ex detective with...oh wait...sorry wrong story!! Devoted to our Constitution??! I just threw up in my mouth a little. Obama may be devoted, but it's to the Manifesto not our Constitution. What ever happend to "never let them see you sweat"? Did CPCC not turn on the ac? 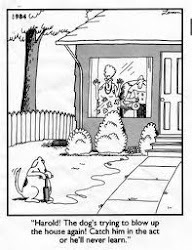 Nothing say dumbocrat like sweaty pits.